Even as President Trump and Attorney General Jeff Sessions descend into a law-and-order authoritarianism that views mass incarceration as a good thing, Democrats in Congress are moving to blunt such tendencies. A bill introduced last week in the House is a prime example. 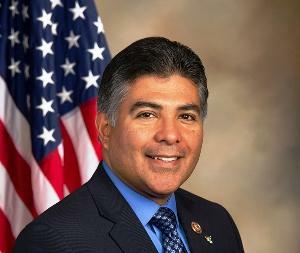 Last Wednesday, Rep. Tony Cárdenas (D-CA) filed the Reverse Mass Incarceration Act of 2017 (HR 3845), which would use the power of the federal purse to reduce both crime and incarceration at the same time. Under the bill, states that decreased the number of prisoners by 7% over three years without a substantial increase in crime would be eligible for grants. The grants would come from the Justice Department and would be awarded "to implement evidence-based programs designed to reduce crime rates and incarcerations," according to the bill text. The measure essentially reverses the 1994 crime bill, which set up Justice Department block grant programs aimed at increasing arrests and incarceration. Instead of incentivizing states to increase prison populations, the legislation would pay states to decrease them, while keeping down crime. Under the legislation, grants would be awarded every three years. States are eligible to apply if the total number of people behind bars in the state decreased by 7 percent or more in three years, and there is no substantial increase in the overall crime rate within the state. The bill could lead to a 20 percent reduction in the national prison population over 10 years. Although state and federal prison populations have stabilized in the past decade and we are no longer seeing the massive increases in inmate numbers that began under Reagan and continued largely on autopilot through the Clinton and Bush years, the number of people incarcerated is still unconscionably high. With more than 1.5 million people in prison in 2015, the United States remains the world leader in incarceration, in both per capita and absolute numbers. A healthy percentage of them are people locked up for drug offenses. 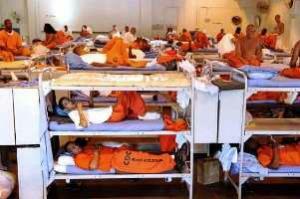 The Bureau of Prisons reports that nearly half of all federal prisoners are drug offenders. Among the states, the percentage varies between about 15% and 25%; overall, about 17% of state prison inmates are drug offenders. "The costs of our nation's epidemic of over-incarceration is not just metaphorical," said Rep. Cárdenas at a press conference rolling out the bill. "Yes, mass incarceration and mandatory minimums have taken their toll on our families and our communities, and represent one of the biggest civil rights issues of our time. At the same time, the cost to the taxpayer is real. Americans spend almost $80 billion per year on our prison system, in addition to much more significant long-term societal costs. It's time to right the wrongs of the last decades and help states have the freedom to implement programs that are more cost-effective and keep our streets and communities safer." It's not just in the House. In June, Sens. 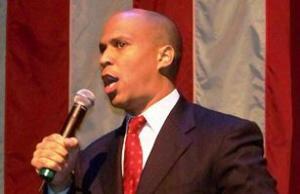 Cory Booker (D-NJ) and Richard Blumenthal (D-CT) filed the Senate version of the bill, SB 1458. Both Booker and Blumenthal came out for the rollout of the House version. "In 1994, Congress passed the Violent Crime and Law Enforcement Act, which created grant programs that incentivized states to incarcerate more people," said Sen. Booker. "The Reverse Mass Incarceration Act would do the opposite -- it would encourage states to reduce their prison populations and invest money in evidence-based practices proven to reduce crime and recidivism. Our bill recognizes the simple fact that locking more people up does little to make our streets safer. Instead, it costs us billions annually, tears families apart, and disproportionately drives poverty in minority communities." "Our criminal justice system is in a state of crisis," said Sen. Blumenthal. "Under current sentencing guidelines, millions of people -- a disproportionate number of them people of color have been handed harsh prison sentences, their lives irreparably altered, and our communities are no safer for it. In fact, in many cases, these draconian sentencing policies have had the opposite of their intended effect. State sentencing policies are the major drivers of skyrocketing incarceration rates, which is why we've introduced legislation to encourage change at the state level. We need to change federal incentives so that we reward states that are addressing this crisis and improving community safety, instead of funneling more federal dollars into a broken system." While the bills don't have any Republican sponsors or cosponsors, they are backed by a panoply of civil rights, human rights, faith-based, and social justice organizations that are pushing hard for Congress to address mass incarceration and the class and racial disparities that underlie it. "At a time when we have an Attorney General who seeks to continue the unwise practice of privatizing prisons and putting more and more people in them, Congress must reform our criminal justice system and do more to address mass incarceration," said Vanita Gupta, former deputy attorney general for civil rights and currently CEO of the Leadership Conference on Human Rights. "Rep. Cárdenas, and Senators Cory Booker and Richard Blumenthal, have developed a creative policy proposal that would serve as a powerful tool to accelerate state efforts in reversing the damaging impact of mass incarceration," said Marc Morial, President and CEO of the National Urban League. "This proposal builds on smart prison-reduction policies while also reducing crime. The National Urban League applauds the lawmakers and is committed to working with them until this bill is signed into law." That could be awhile. With Republicans in control of the Congress, the bills' prospects this session are clouded. But even among congressional Republicans, there are conservative criminal justice reformers willing to take a hard look at harsh policies of the past, and there is always the next Congress. While the Reverse Mass Incarceration Act of 2017 is unlikely to pass this year, it deserves to be fought for and is laying the groundwork for sentencing reform victories to come. Let's hope they do so soon.